Shot of the Day – Graffiti in Barcelona | Aren't We All Just Tourists Here? I am a big fan of old abandoned places.. and if they are derelict and covered in graffiti, street art and music or movie posters.. all the better.. When we were in Barcelona, exploring the narrow alleys and side streets, we came across an open plaza and this scene.. The building had obviously burned, at some point in the past, and had since been layered in street art and music posters.. I love stumbling across scenes like this… I have always believed that the best photographic opportunities, when traveling, come when you least expect them. A copy of this print will be on display in Ploiesti, Romania at the Museum of Art starting Aug 19, 2014.. It is also available here at my Fine Art America website.. stop by and check it out…. 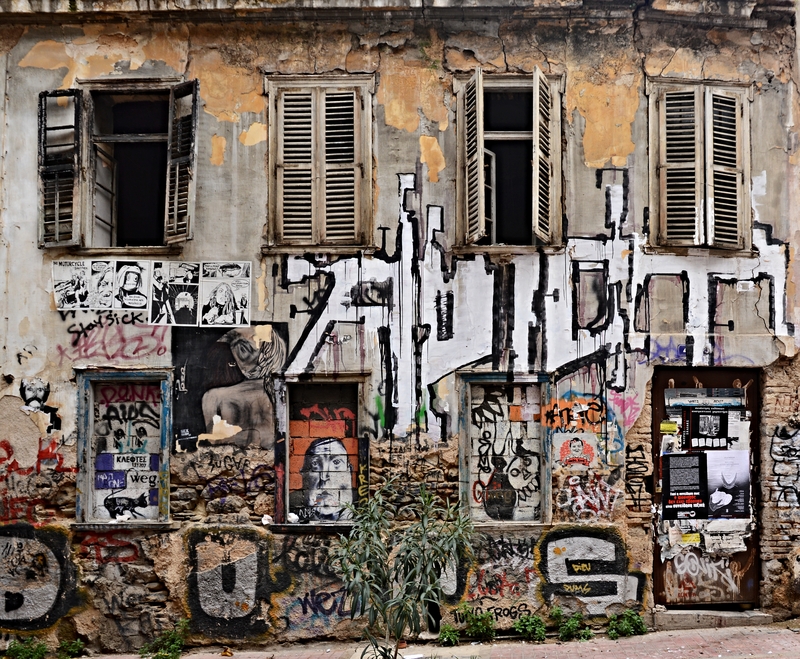 This entry was posted in Photography, Travel and tagged abandoned, Barcelona, building, graffiti, Spain by Steven. Bookmark the permalink.